Wonder Woman 2 Officially Titled Wonder Woman 1984 | Nerd Much? The Wonder Woman sequel has simply been referred to as Wonder Woman 2 for months now whenever news on the next movie would break. That stops today, as the true title for Diana Prince’s next adventure has been unveiled. The next Wonder Woman movie is officially titled Wonder Woman 1984. That’s right, Chris Pine’s Steve Trevor is apparently making his return within Wonder Woman 1984. Which is likely confusing for all those that saw the first film. The first movie was set in 1917 during the climax of World War 1. If we were to aim low and say that Trevor was 20 during that time, the character would be around 87 years old during 1984. And the man in that picture above, while aged, is certainly not approaching his 90s. And that’s without considering what the plot held for Pine’s character at the conclusion of the movie. So we now have tons of questions thanks to Jenkins’ tease. Is that really Steve Trevor? Perhaps a very similarly looking offspring of the World War 1 hero? Are there time travel shenanigans at play here? We’ll all just have to wait and see. The official title and Trevor’s image wasn’t the only thing shared today. 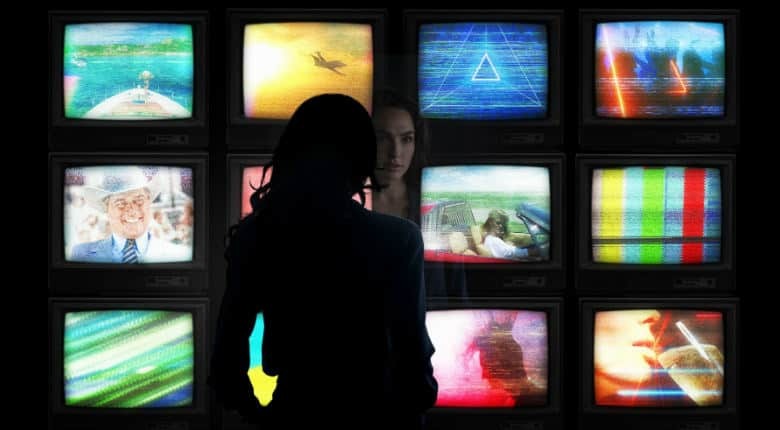 Gal Gadot also tweeted an image of Diana staring at a group of television screens plastered with cliché 1980s imagery. She seems a bit perplexed, so she may be ingratiating herself back into mainstream culture for the first time in decades. We’ll get all of our answers on December 19th, 2019.